So what does a bowling ball and a snowmobile have in common? In the case of vintage Mercury (Merc) snowmobiles and bowling balls — at one time in the 1970's both were owned and produced by various divisions of the Brunswick company of Knoxville, Tennessee. Brunswick, of course, is best known for their line of Mercury marine outboards and boats — though they still are a leader in making bowling balls, too. 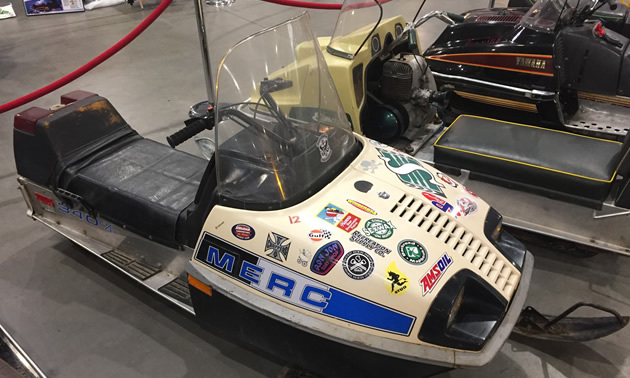 Here’s a vintage mid-1970’s Merc snowmobile that caught our eye at the Saskatchewan Snowmobile Show back in November – a race ready sled, complete with RiderNation and Amsoil logos on the cowling. 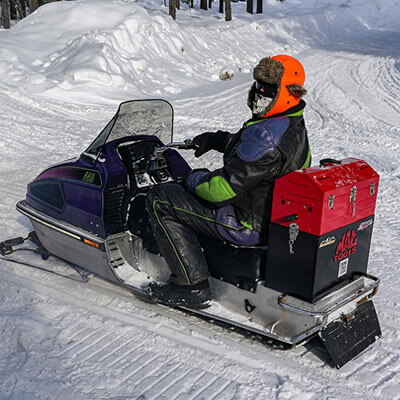 Mercury snowmobiles had a rich history in the 1970's snowmobile racing world — known for their raw power and high speeds the sleds dominated racing circuits across the snowbelt. 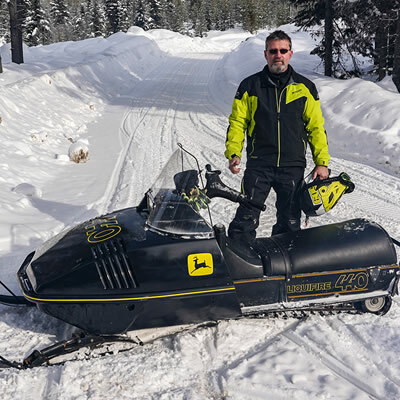 “The snowmobile market was growing in the mid-1960s, and Carl Kiekhaefer decided that a small “sled” powered by a two-cycle engine would be an ideal “ice breaker” for Mercury that would provide winter sales opportunities for boat dealers up north. Kiekhaefer felt strongly that a 15hp engine with electric start and heavy-duty transmission, chassis and cowling would sell. The Mercury “Snow Vehicle” — the 150E — slid its way into the market in 1968, but it was slow, heavy and unstable. Oval-track-tested, the machines performed well turning left — the direction of the test track — but were known to tip on right turns. Customers and dealers complained. Rather than pay to ship defective models back, dealers were instructed to burn the sleds and send in a photo to collect the refund. Did you know? Carl Kiekhaefer resigned as President of Kiekhaefer Mercury in 1969, and the name was changed to Mercury Marine. 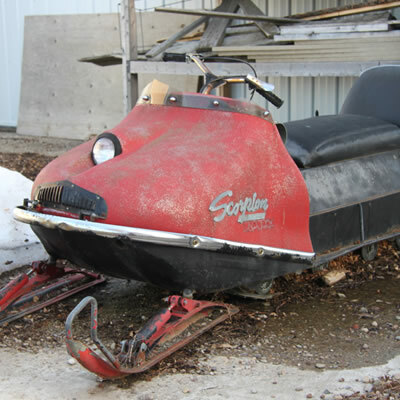 During this time, Mercury produced snowmobiles, like many other companies in the late 1960s. The first ones incorporated a 250 cc two-man chainsaw engine.